MKN Advisory services Ltd is owned and led by Dr Michael K Needham. Michael needed a simple and effective means of communicating the essence of the business and what it carried out, day to day. Originally, MKN had no web presence whatsoever so needed a full suite of web design, development and management services applied. The company required domain name registration, DNS management, email hosting along site an effective web design project. 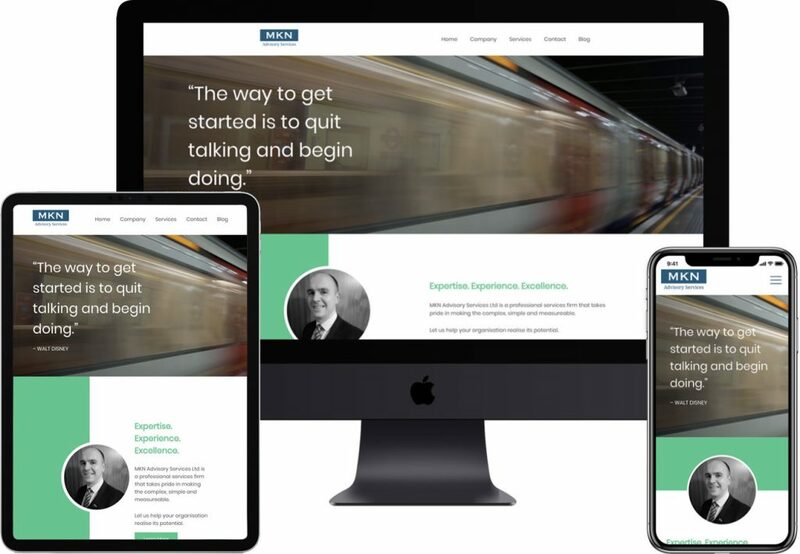 Working with their brand that was already in place, we created a full responsive web design concept for Michael to show a multi-device prototype for user interaction. We empathised simple communication of the key messages and highlighted the blog and communications feature of the website.